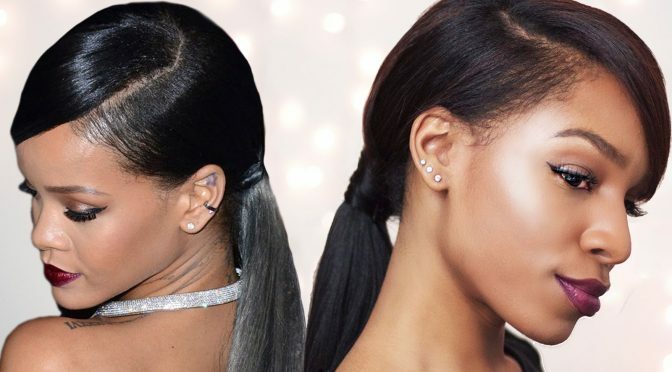 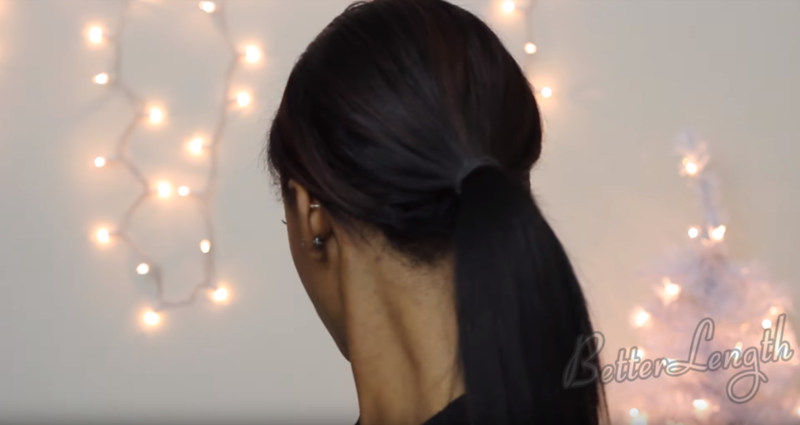 This tutorial will show you how to do a Rihanna inspired swoop ponytail for short hair with clip-ins. 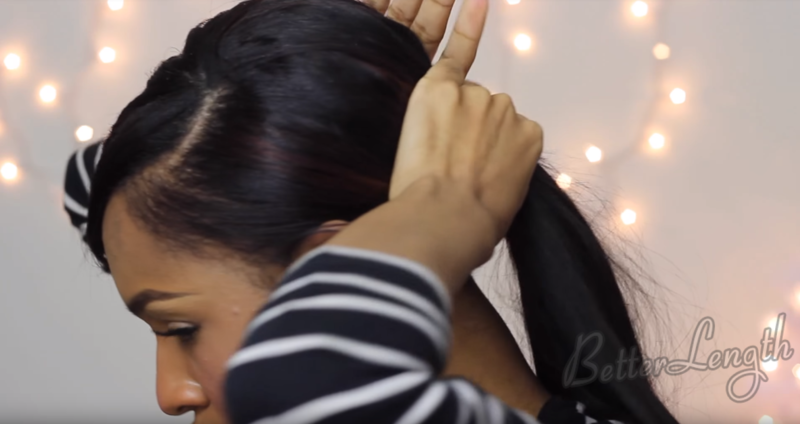 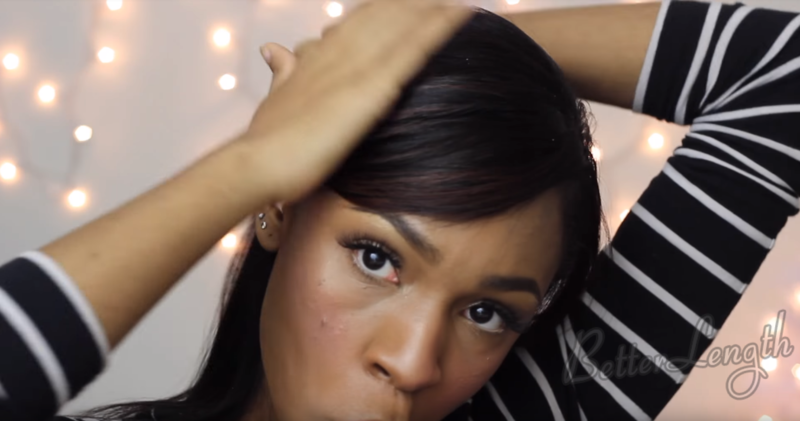 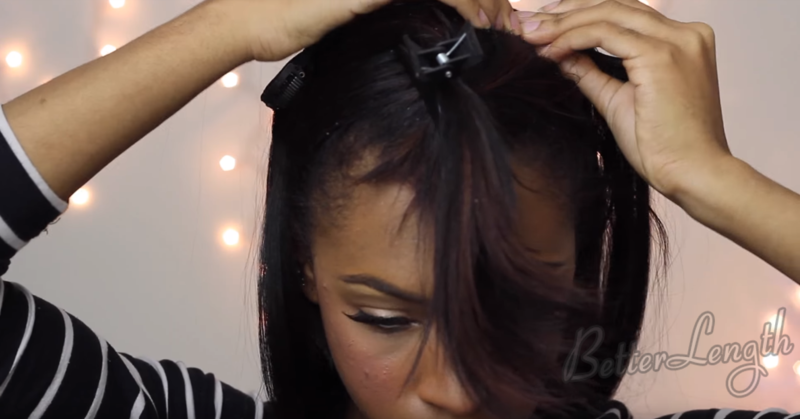 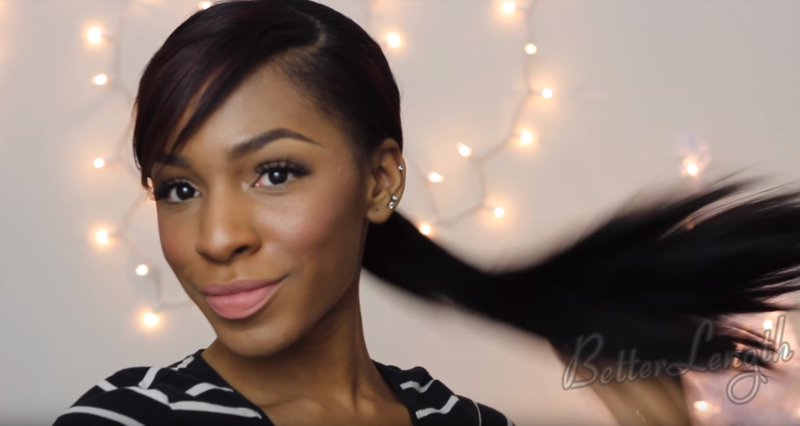 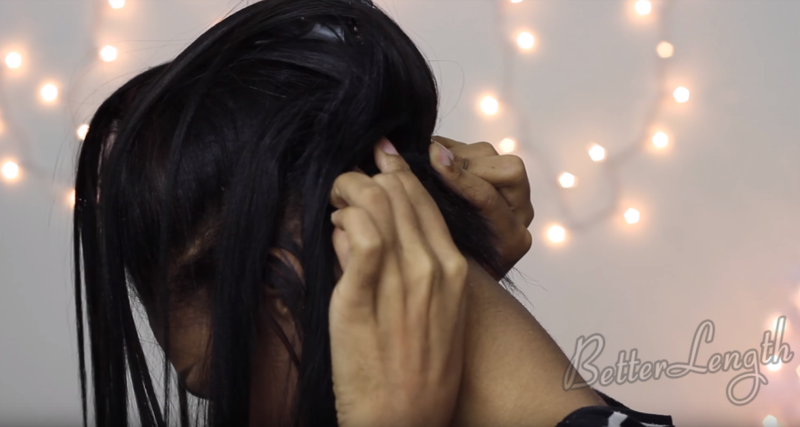 The hair used in this tutorial is BetterLength 18″ Light Yaki clip ins. 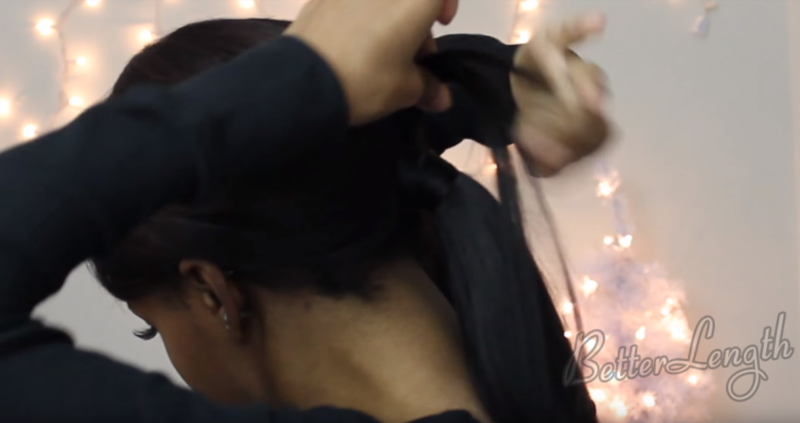 Put the first clip ins in at the bottom, clipping upside down so that it’s easy for the clip ins you put in a ponytail without a bulge or kind of like a bump underneath. 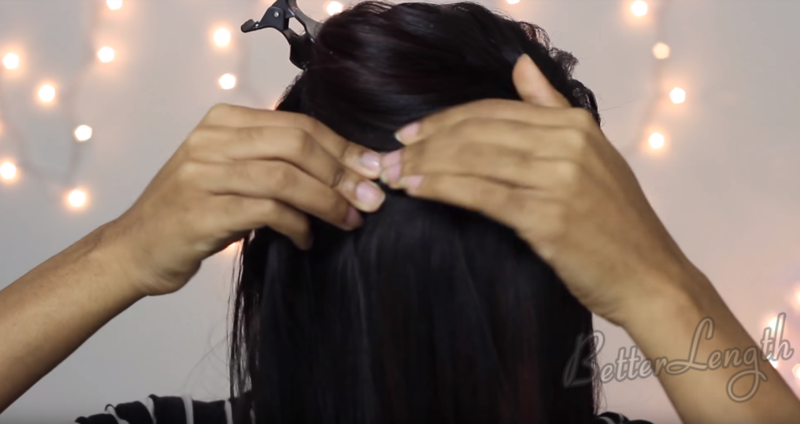 And then you’re going to clip in all the rest of the hair. 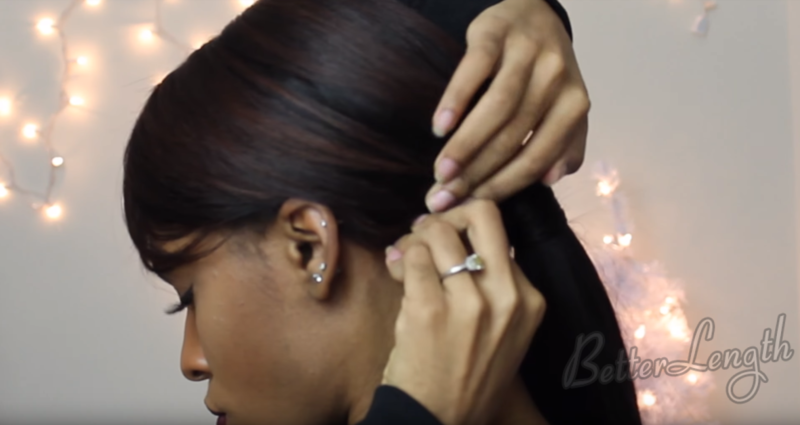 Just fill in the hair where you need more fullness. 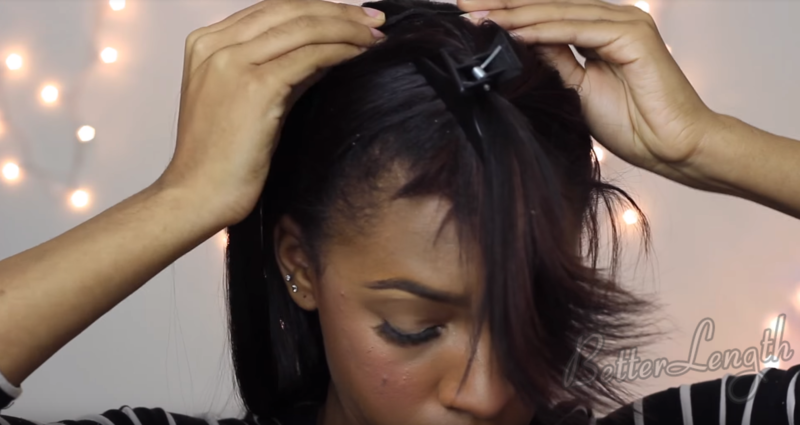 Just made a part pretty close to my forehead so that I can lay a track across the front so that hair can swoop in front of your face. 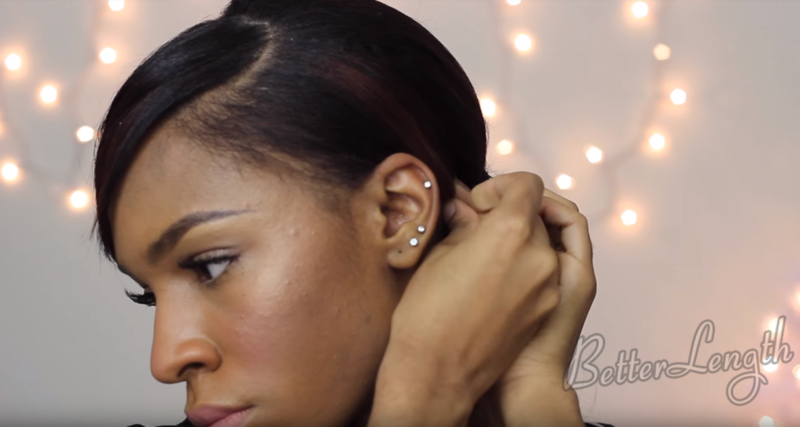 Use a bobby pin to make sure that your hair is slicked down, there’s nothing sticking out. 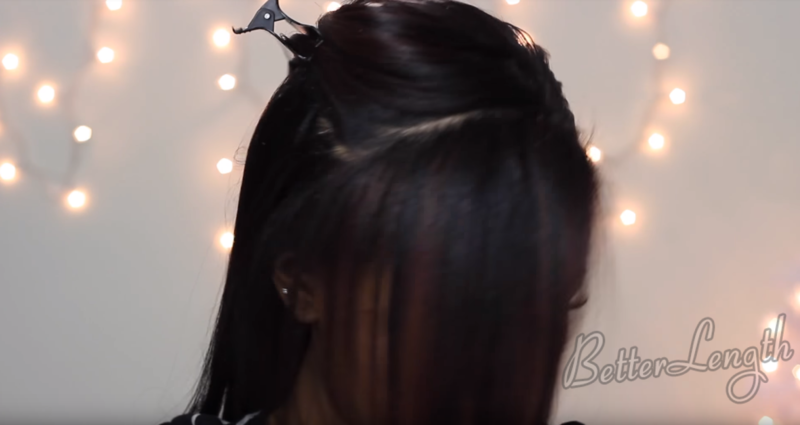 Now you can take a piece of hair from underneath and wrap it around the band and bobby pin it down if you want it to be more elegant.